THE WEATHER DOESN’T seem to be giving us a break any time soon. We’ve been through it all in the last few week’s, which means by now we know that the kindness of others is what sees us through these disasters. With over 190,000 people without power around the country, one hotel in Wicklow decided show some good will to those with no power by offering a helping hand. The family-run, Glendalough Hotel in County Wicklow last night posted to their Facebook page that they were there to help out those in need, telling those who had no electricity to come down to them if they wanted to keep warm and they would would be well looked after. Getting close to 2,000 likes on the post in just 11 hours, it seems that we are all in favour of little charity during tough times. So, have you witnessed any good deeds or acts of kindness during what was one of Ireland’s worst storms in a decade? Why not tell us in our comments section below. Be safe out there, guys and look after each other. Email “Glendalough hotel offers shelter from the storm... plus tea and coffee”. 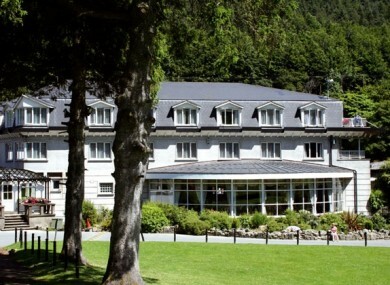 Feedback on “Glendalough hotel offers shelter from the storm... plus tea and coffee”.